Scatterbrained Blogging: Bargain Alert! 25% Bia Beauty "Feed your Face" Gift Set! "Your skin absorbs up to 60% of what you apply to it. If you are what you eat then your skin is also what it eats!" I don't know about you, but that really makes me reconsider some of the stuff I'm slapped on over the years. BUT, never fear. The generous people folk in Bia Beauty have decided to treat us, and our skin, with an amazing 25% off their Feed Your Face gift set. It includes their Orange and Grapefruit facial exfoliant, Mellow Mandarin moisturiser and Lime Pie lip balm. Pop over to the Bia Beauty Facebook page to view the offer - simply purchase the gift set as per usual on the website and enter " 25off " in the discount code are when checking out. Still here? Ah, do you need some convincing or some reassurance you've made the right choice? Well let me oblige you. I, myself, got my grubby hands on this little box of magic at the weekend at the Dublin Blogger Meetup (organised by the luminous Sarah of adoreabubbles) - it's pretty much the only time I've ever managed to win something in a raffle! I broke it out during the week (as anyone who follows my ramblings on Twitter would know) when my skin was crying out for some TLC. I was already sold on the Lime Pie lip balm - it smells exactly like lime Starburst. Absolutely amazing. Also, what really impressed me was, that even after coming in from positively Baltic conditions the balm is still soft. 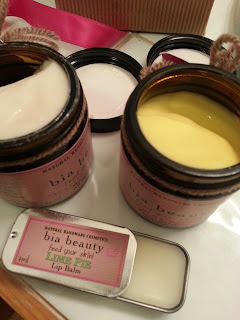 It's a nice soft, light consistency - based on honey and essential oils, and I find there's less of that grainy texture you get with some natural lip balms. The Orange and Grapefruit Facial Exfoliant and Cleanser in One is exactly that, it's an exfoliator and a cleanser - but before we get on to that, it smells amazing. So citrus-y and fresh. Usually I have an issue with exfoliating washes. They're too harsh, too grainy and hell to wash off - too many times have I found stray "microbeads" hiding in my hairline and around my ears (how they get there, I'll never know, I'm looking at you Johnson's "gentle" exfoliating wash). But this exfoliant-cleanser combo is much nicer. My skin can't take too much exfoliating, so this is just gentle enough to leave my skin feeling smooth and fresh without being too abrasive. And have I mentioned how great it smells?! The fine jojoba grains provide the exfoliating action, you almost don't notice them until you start massaging it into your face - they also help to brighten your skin. Finally, the Mellow Manderin Moisturiser boasts a very bold claim in saying it is "suitable for all skin types" - dry, oily, sensitive and everything in between. The key ingredient, manderin essential oil, helps to balance your skins sebum levels - the cause of many a skin complaint. 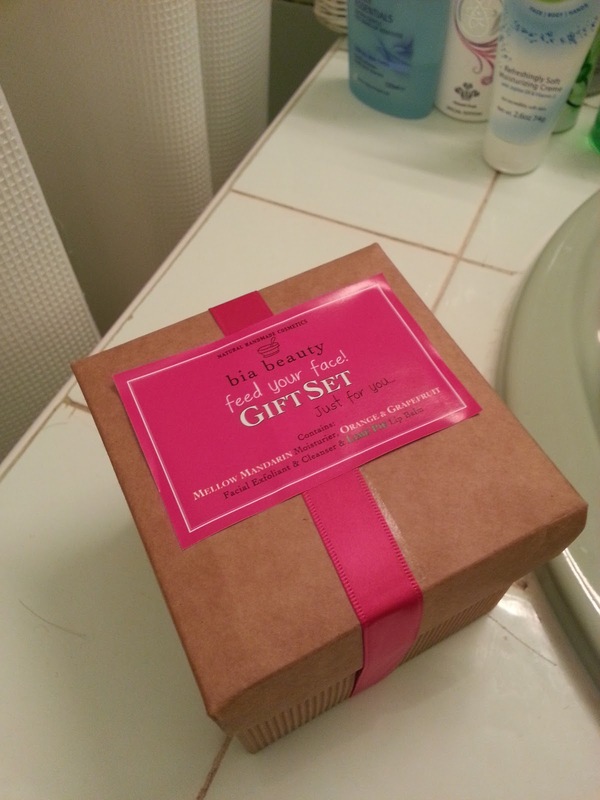 It also contains sweet almost oil, which keeps skins outer layers soft by reducing water loss - my main issue. The scent is like a light slightly orange smell with a sweet herb-y undertone; Boyfriend has commented that my face is smelling quite nice lately, which in any other circumstances would be an extremely odd thing to say, but it's a testament to these products! Now I can't use just anything on my skin, my skin is dehydrated but I also get an oily A-Zone which likes to ruin my day by breaking out randomly. My skin, however, does like this moisturiser. So far I've only applied it at night, I find it's absorbed really well but leaves my skin feeling soft and moisturised - and I do think it will go really well under make-up (I'll try this weekend, as I've hardly worn any make-up yet this week) and for this reason I agree with the day and/or night usage of the cream. Right now is possibly the worst time of the month (ahem) to be trying new skin care as my skin is generally at it's worst. But even with that considered, and the fact I've only used this twice and only in the evening - I've already seen enough to know this is a new favourite of mine, and being natural products I firmly believe a variety of skin types will like them too. So, if that hasn't convinced you, maybe you need time to think about it? 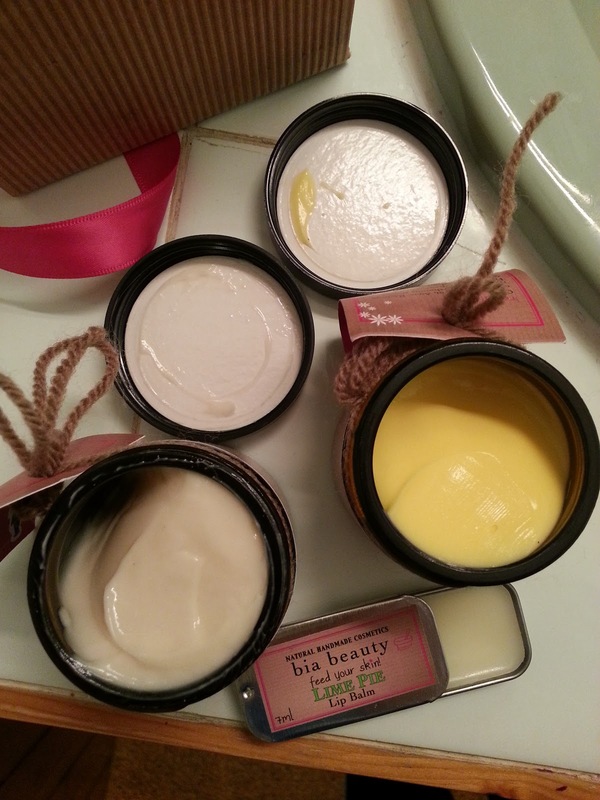 So, g'wan - buy Irish and give your skin a good feed this Christmas! 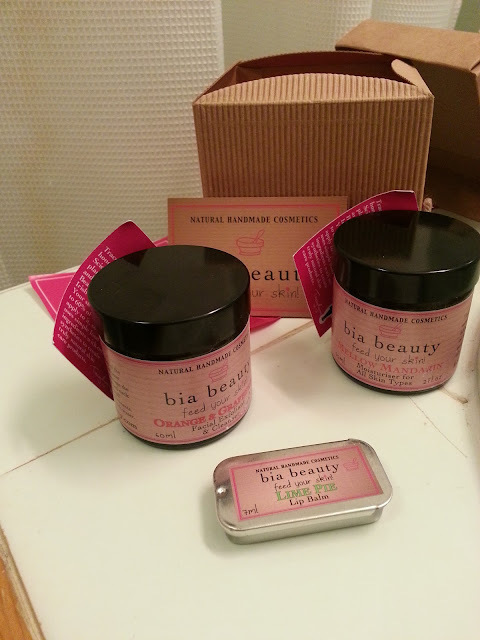 Really want to try Bia Beauty have been hearing such good things!